Let's DECORATE! | J.O. Spice Company Inc.
Spring is coming in 22 days (we can only hope as it is snowing yet again!) Spring is a great time to redecorate! J.O. has just the products to help you do just that. How do you like to decorate? 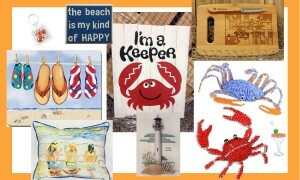 Do you like to use fun decor with a beachy theme or weathered by the sea wood look? Maybe you like to mix and match, some old with some new and you like the idea of supporting small business? How about redecorating a wall using authentic fish netting that you can buy at a great price? We also have great wall decor, weathered wood containers, wrought iron stands that will hold the frames or the special plates or platters you want to display and/or get out of your cluttered kitchen cabinets. 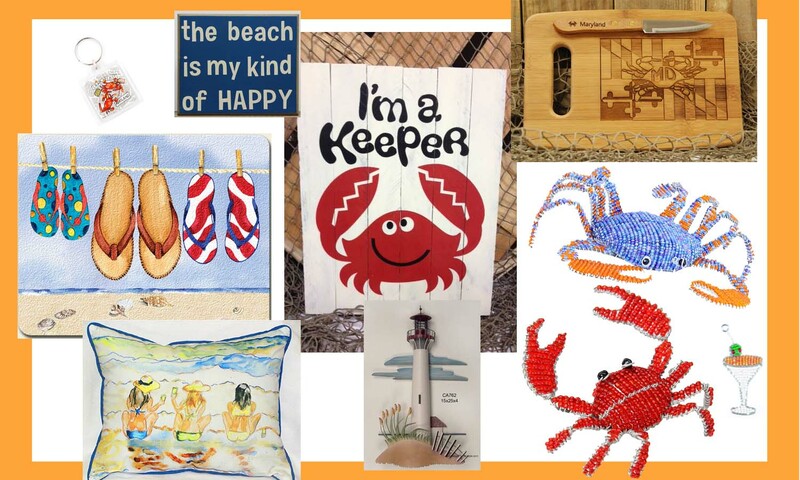 We have crabby garden stakes, crabby wall decor, pillows, tablecloths, place mats, table runners and beaded crabs, turtles and flip flops that are perfect sitting at your desk, on an end table or decorating a mantle. We have plates, cutting boards and coasters that will redecorate any table in seconds. That is always a cheery pick-you-up when you can set your dinner table or make dinner with something that makes you smile and think of the beach or the sun or a fun, summer memory. A fun cutting board takes the same old, same old feeling away from dinner prep and custom engraving a paring knife that makes you giggle also helps! This winter has been long and redecorating is a fun, spirit lifter that gets everyone out of the winter blah’s. What will you use to redecorate? The great thing about J.O. Spice is that we have many items for the cost-conscious customer so you are sure to come in, browse, get ideas and find something within your budget. Splurge on a $1.95 key chain or magnet to get you thinking about your spring garden redecorating plans, your vacation ideas or what you will drink at happy hour tonight! This entry was posted in Decorating!. Bookmark the permalink. ← Is it J.O. or…Tell us your SPICE PASSION!